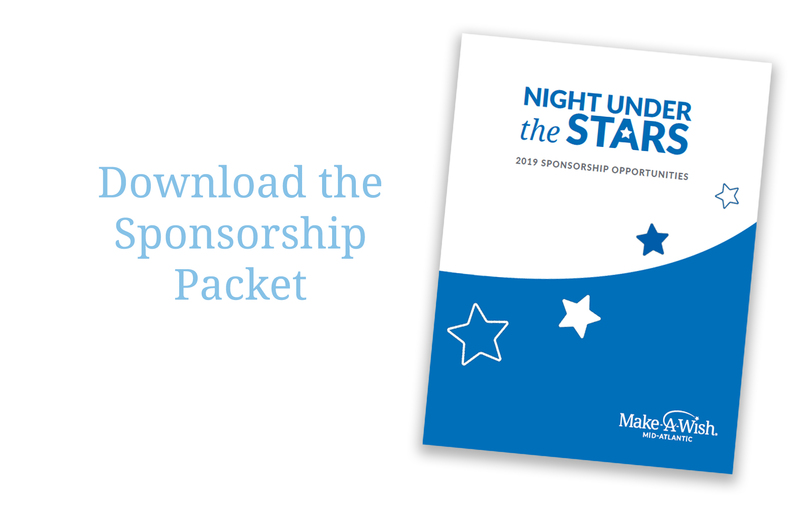 Sponsoring Night Under the Stars will not only impact the lives of the local children we serve, but it will also strategically align your company with one of the country’s top charitable brands. Night Under the Stars is a powerful way for you or your company to publicly demonstrate your commitment to your employees, families and the community. This is an opportunity to include your logo and/or branding on all signage and promotion of the Libation Station. Sponsorship includes two general admission tickets. This is an opportunity to include your logo and/or branding on all cocktail napkins for the event. Sponsorship includes two general admission tickets. This is an opportunity to include your logo and/or branding on all photo prints from our photo booth. Sponsorship includes two general admission tickets. 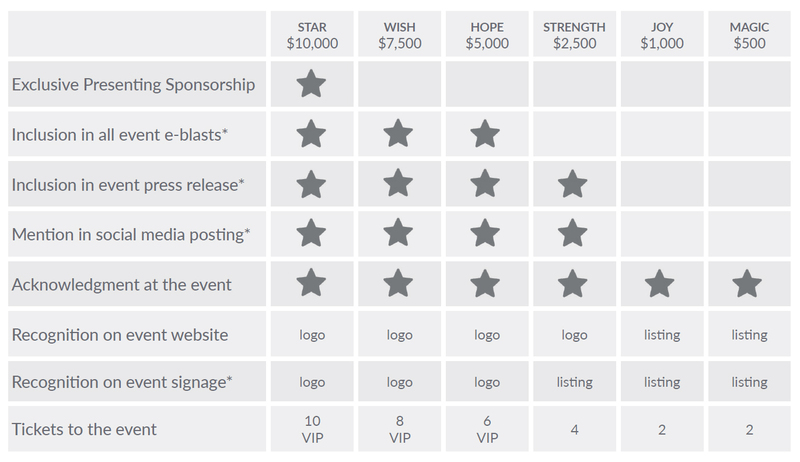 The sponsorship packages were designed to maximize recognition at every level of engagement. Make-A-Wish Mid-Atlantic would be happy to discuss custom package options with you as well, in order to meet your community outreach goals.